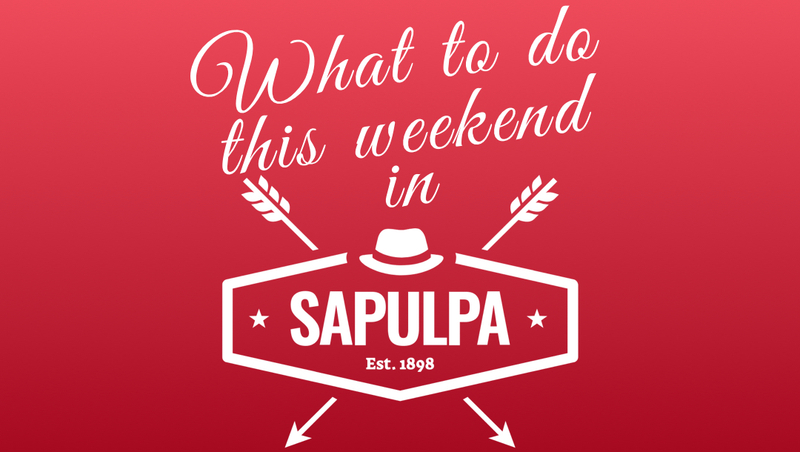 The GOP convention, varsity basketball, art classes, tai chi, and bowling, and much more are all available in Sapulpa this weekend. Lions Club Annual Bean & Chili Day from 11 a.m. to 1:30 p.m. and 5 p.m. to 7 p.m. at the First Baptist Church, 200 South Elm Street in Sapulpa. The cost is $8 per person. This event is sponsored by the Sapulpa Lions Club and all proceeds go to Lions’ charities. For more information please visit the Facebook page here. Sapulpa Youth Baseball Registrations from 5 p.m. to 8 p.m. at 1521 South Wickham Road, Sapulpa. Registration is $125. For questions please text message Anissa at 918-859-2984 or Misty at 918-520-4900. For more information and other registration dates you may also visit the Facebook event page here. Beginners Cricut Class from 6 to 8 p.m. at Vintage Rose Boutique & Flower Shop, 105 East Dewey Avenue in Sapulpa. Please bring to class: laptop, cricut, item for design, vinyl, and a cutting mat (iPads will also work in lieu of a laptop). This class will highlight how to import an image from a flash drive, image gallery, and purchased images. They will have handouts and websites to show you that convert a photo to svg file to cut. The cost is $20 per person and must be pre-paid prior to February 7th either in store or via PayPal. For more information please visit the Facebook page here. String Art with Custom Vinyl Class from 6:30 to 8:30 p.m. at The Painting Gypsy Studio, 619 North Mission Street in Sapulpa. You get to choose your anniversary or special occasion and the year used. The cost is $30 per person for an 18×9 piece of pre-stained wood. For more information visit the Facebook page here. Inaugural Lieutenant Governor Quail Hunt on Route 66 Registration and Reception at 6 p.m. at Signs of the Times, 18 East Hobson Avenue in Sapulpa. This is a registration for those who are hunting and a general meet and greet for citizens of the area who would like to meet Lieutenant Governor Matt Pinnell. For more information email Jeff@MattPinnell.com. Moonlit Mountains Canvas Painting Class from 6:30 to 8:30 p.m. at The Painting Gypsy Studio, 619 North Mission Street. This is a step-by-step instructor-led class. You will receive a 16×20 canvas on which to paint. For more information, please visit the Facebook page here. Sapulpa Chieftain Varsity Boys Basketball Game versus the Broken Arrow Tigers at 8 p.m. at the Chieftain Center at Sapulpa High School. For more information please visit the team’s schedule here. 2019 Creek County Republican Prayer Breakfast and Convention from 9 a.m. to 12 p.m. at the Booker T. Rec Center in Sapulpa, 209 North Gray Street. All registered Republicans in Creek County can attend this meeting; please bring your ID! These delegates to the County Convention will be eligible to be delegates to the State Convention on Saturday, April 6, 2019 at First Moore Baptist Church, 301 NE 27th St, Moore, OK 73160. Together we will vote on the Creek County party platform and elect officers to represent us at the Congressional and State level. The keynote address will be given by David McLain. For more information please visit the Facebook page here. Sapulpa Youth Baseball Registrations from 10 a.m. to 2 p.m. at 1521 South Wickham Road, Sapulpa. Registration is $125. For questions please text message Anissa at 918-859-2984 or Misty at 918-520-4900. For more information and other registration dates you may also visit the Facebook event page here. February 50% Off Sweetheart Sale from 11 a.m. to 5 p.m. at Earth Keepers Mercantile, 114-C West Taft in Sapulpa. They will have free snacks, drinks, and hidden deals. Come out and have some fun shopping for your sweetheart or yourself! 50% off many products. Give your special someone a unique gift from great designers like, MorningStar Fashion, NativeKuffs and many more. All proceeds support Autism Acceptance and Job Creation. For more information, please visit the Facebook page here. An Enchanted Evening Father-Daughter Dance hosted by Sapulpa Parks and Recreation Department from 6 to 8 p.m. at 515 East Dewey Avenue in Sapulpa. Share a magical evening with the little princess in your life. Activities for the evening includes a live DJ, dancing, and refreshments. The cost is $20 per Couple, and $5 for each additional Daughter. Tickets can be purchased at the door. For more information call 918-224-5151 or go to the Facebook page here. Inaugural Lieutenant Governor Quail Hunt on Route 66 to meet at 9 a.m. on Saturday, February 9 at Castle Grocery in Okfuskee, the intersection of Highways 62 and 48. Catfish lunch to follow at Castle Grocery. To RSVP and for more information email Jeff@MattPinnell.com. Second Sunday Poetry at 2 p.m. on Sunday, February 10 at the Tidewater Winery 54560 West Highway 16 in Drumright. Join them on the second sunday of each month for poetry. Each month they will feature a different poet. This event is open to the public. For more information please visit the Facebook page here. ← Filing deadline for upcoming election is today.